CFCCARBON LTD is a group company, specializing in the production of 3D carbon carbon composite | C/C composite material and products in China. What is 3D carbon carbon composite? Its with 3 directions of carbon fibers, x,y,z directions. Sometimes we call it 3D xyz structure. See structure attached. Another type of 3D carbon structure is 3D hoop structure: with fibers in axial, radial and hoop directions. 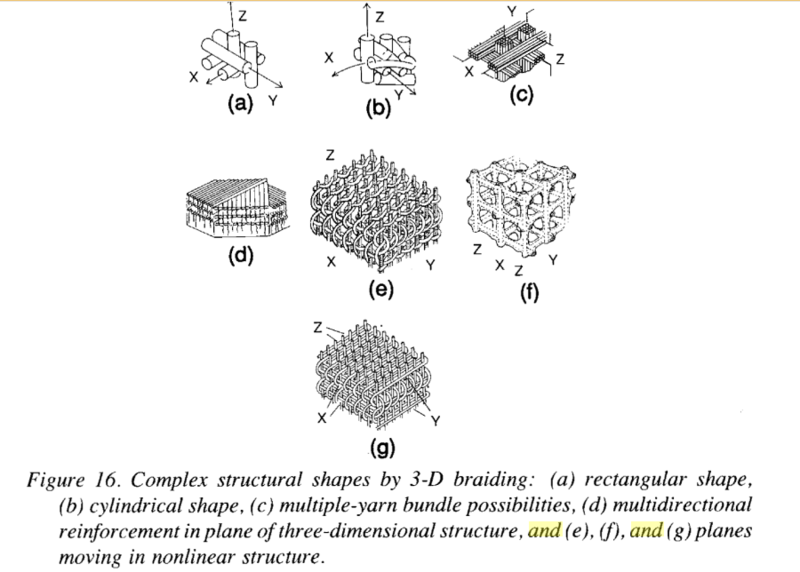 There are also other types of 3D structures. We can also produce C/C composite as per customers’ structures. See bellow structure drawings. Note: We can do X-RAY tests and other tests. We can produce with all shapes of 3D CFC as per customers’ special request. CFCCARBON LTD is a professional manufacturer of carbon composite. With density up to1.5-1.95g/cm3. We can produce carbon composite with required structures. For the carbon carbon composite, there are so many names of this material, different people use different names when refer to the same product. But its same material. Names of the material: CFC, Carbon composite, C/C, carbon fiber composite, carbon carbon composite, carbon reinforced carbon, carbon fiber reinforced carbon, carbon carbon. use the ways of CVI, or CVD, or other way to increase the density. the production takes a long time, about 5-8months due to different size product. (1) Physical properties: After high temperature treatment, the carbon composite has higher carbon content, >99%, the density is low, the mechanical properties are good. Due to good characteristic of high melting point of carbon, high temperature resistance, corrosion resistance and thermal shock performance, the carbon composite is resistant to acid, alkali and salt. (2) Mechanical properties: carbon composite has good mechanical properties of the strength and elastic modulus, good wear and tear resistance. temperature strength of carbon composite can keep up to 2500 ℃, is not sensitive to the thermal stress, and the ablation resistance performance is good. (4) Comprehensive performance evaluation: carbon composite has good strength and elastic modulus at room temperature; less production processes of carbon composite material can save materials and manufacturing costs, and its more safety and reliability.